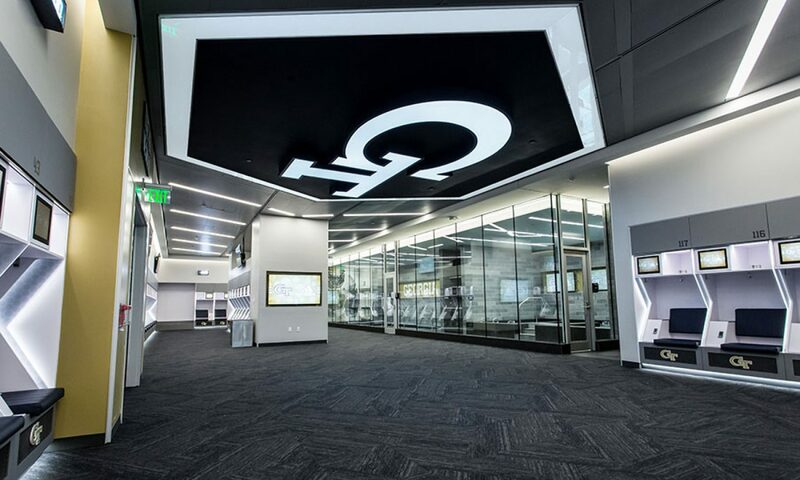 The 8,100SF, $4.5M locker room renovation delivers Georgia Tech’s standard of technology, excellence, and innovation. 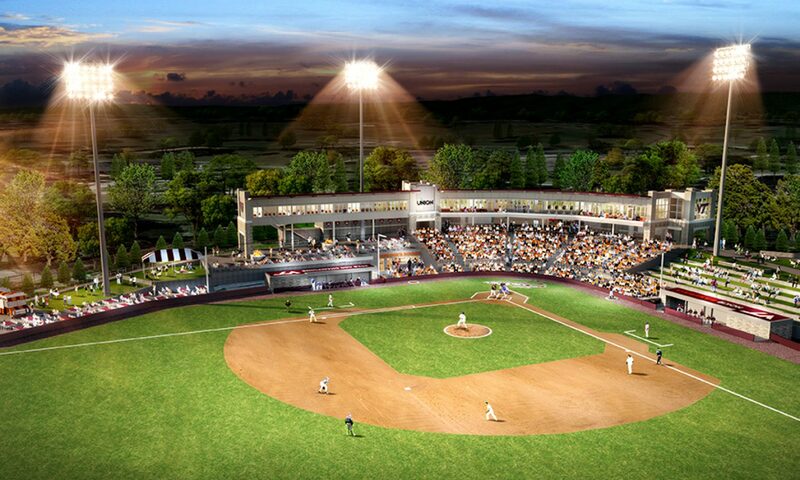 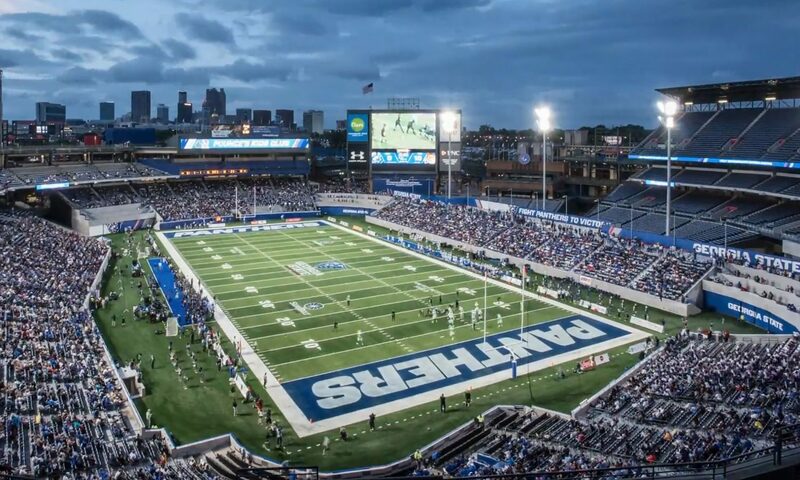 $16.5m and only 14 months to convert the Turner Field MLB ballpark into a collegiate football stadium and home of Georgia State Athletics. 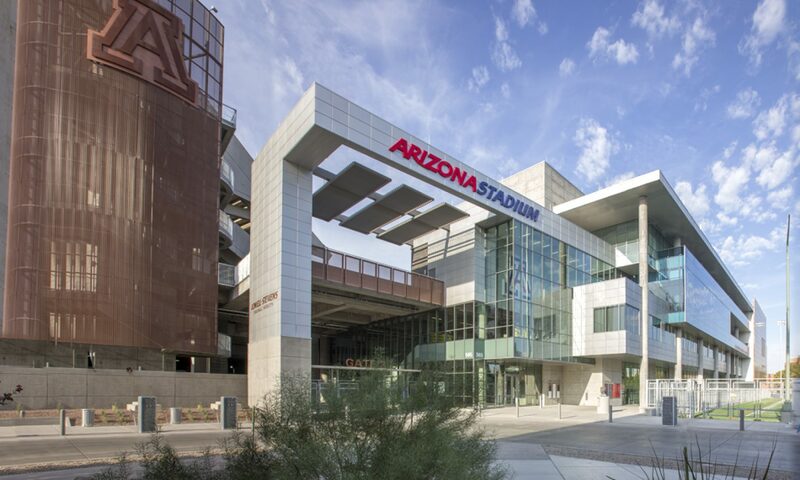 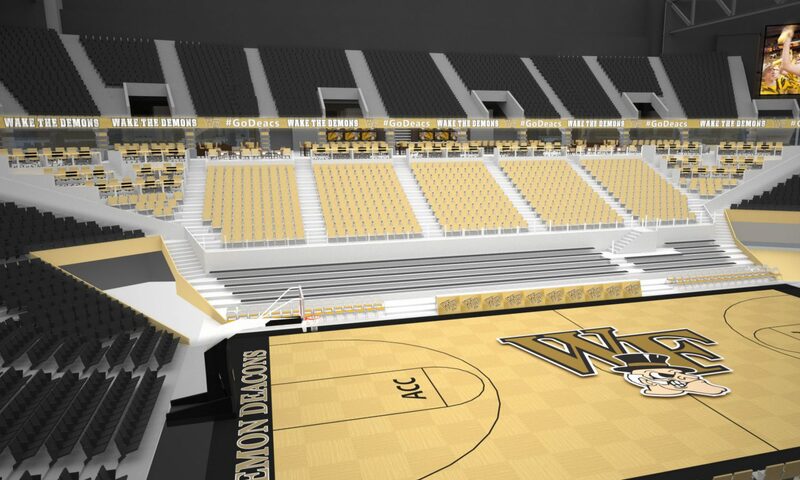 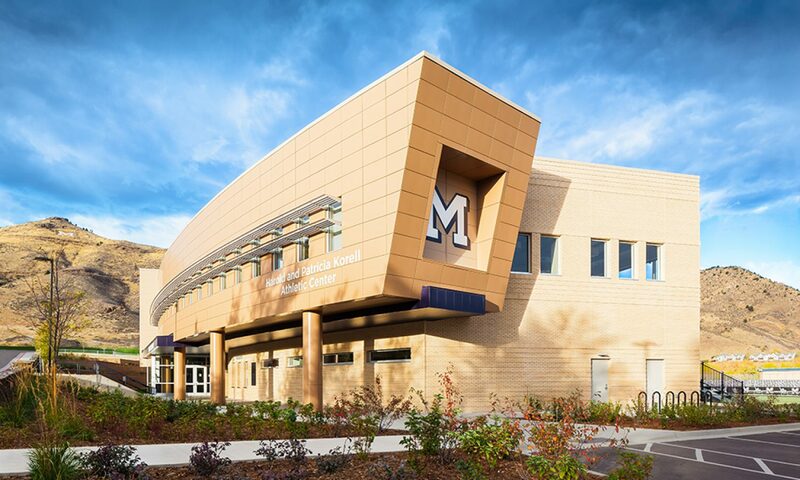 The 189,000 SF, $72m addition, houses a state of the art football ops facility and connects both sides of the stadium with a lower bowl, mid-level concourse and upper luxury club in the North end zone. 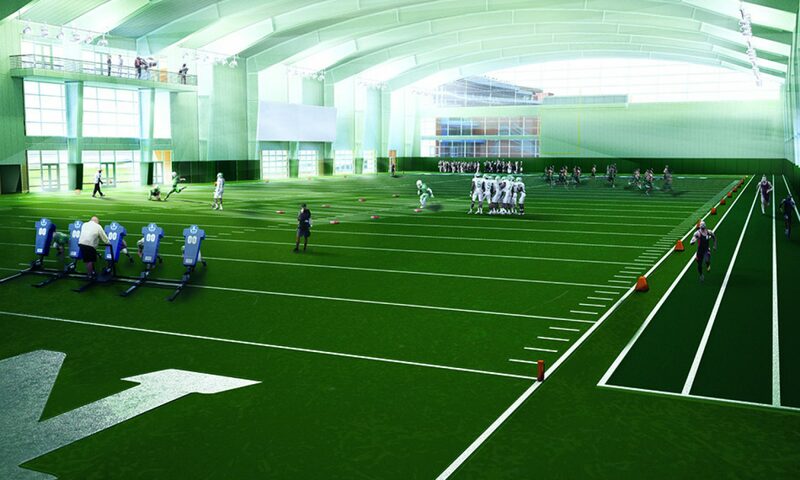 The 94,000SF indoor practice facility at North Texas is currently under construction. 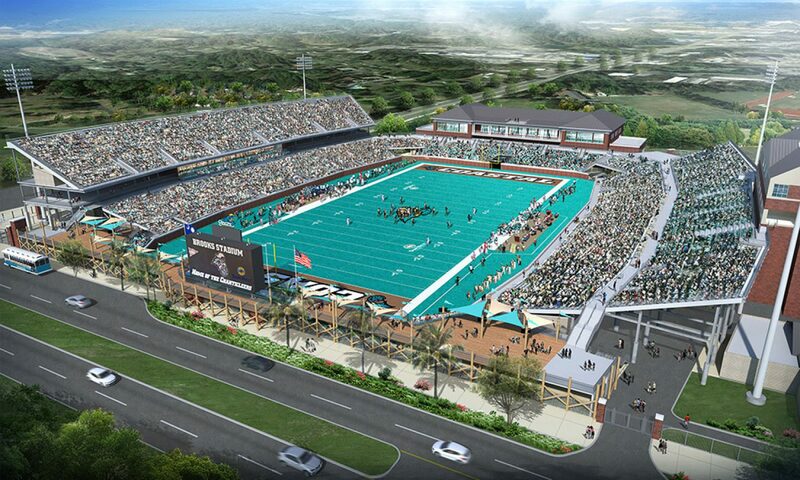 The facility boosts a 130 yard field allowing the north end zone to be worked from both directions. 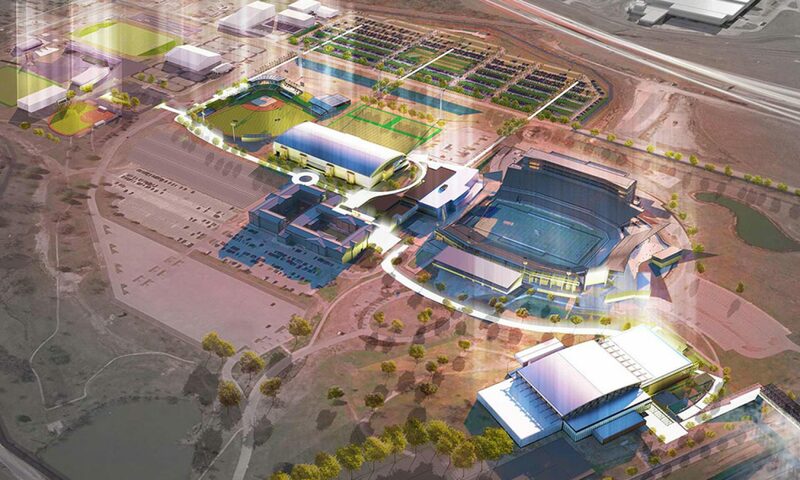 Generated an 100 page Athletic Facilities Master Plan Report that establishes a proactive, flexible and achievable 20-year road map for athletic facilities improvements consolidated within the Mean Green Athletic Village. 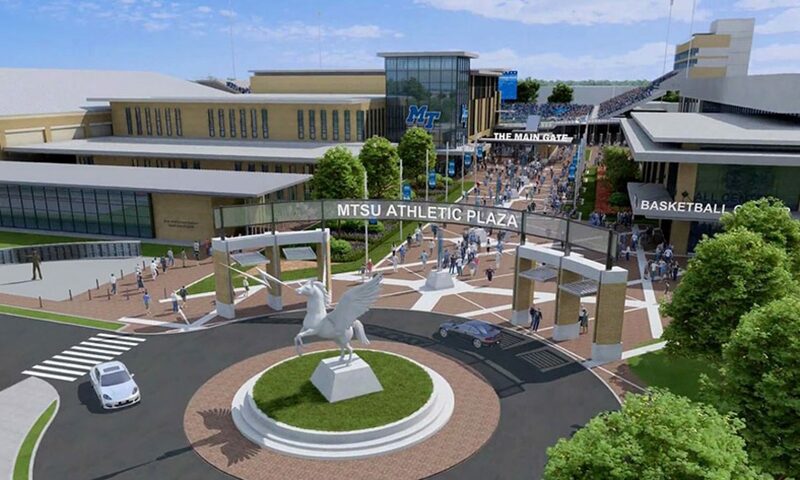 The Athletic Master Plan provides a proactive long-term plan to locate the athletic facilities within the campus with a primary focus on a new football operations facility and subsequent backfill of the Murphy Center.